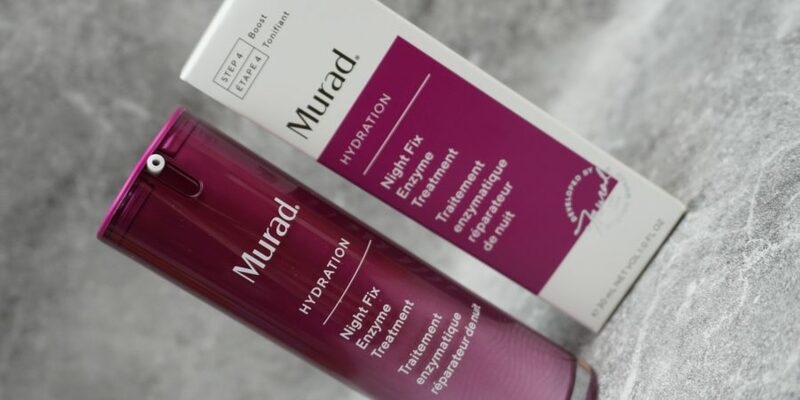 Murad has released a new serum that you use just before going to sleep. 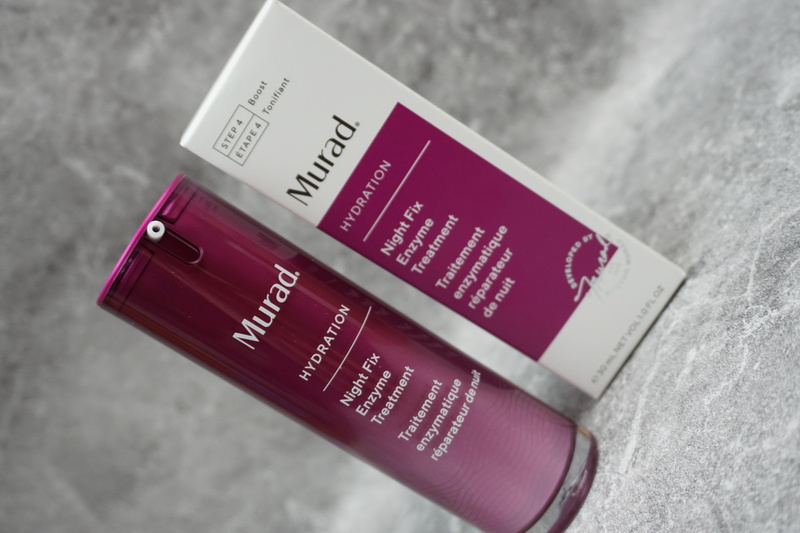 The Night Fix Enzyme Treatment works with your skin while you sleep. 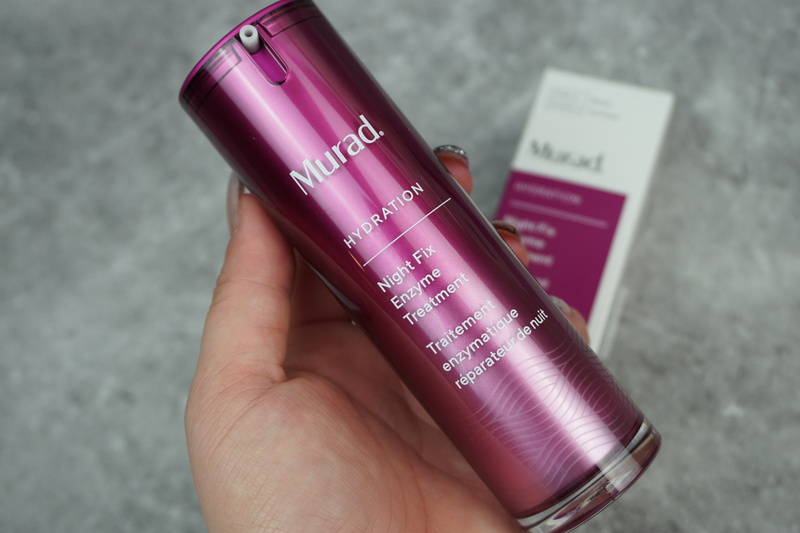 I finally got my hands on the new Murad Night Fix Enzyme Treatment (30ml/925kr) and wanted to talk about it a bit more. Apparently, the product is said to hydrate the skin and smooth it out through their tri-enzyme complex. It basically works with your skin while you sleep. For just over 900kr, I am always a bit skeptical so I decided to give it a try. The product comes in a slim 30ml tube, attractive with the magenta-purple and it dispenses through a pump on the top. The product is recommended for more drier skin types – I myself have more combination skin at the moment so I do hope it still works and gives me a more refreshed look and feel to my skin. My skin feels pretty good. I have always been very specific when it comes to my day and night time routines so I have not noticed much of a difference while I used this on top of my regular skincare routine. The product claimed to show healthier and luminous skin after 3 weeks. I cannot say that I noticed more lustre in my already combined skin but it does feel healthier in the sense that when I wake up after using the treatment, it feels balanced and I feel like my base products sit better. I am not sure if it just because I added on the treatment or because I have been getting more sunlight as the Spring season has been coming to Sweden. For normal to combined skin, I would not recommend this product, especially with the price tag… I did not notice a huge difference in my skin..However. For those of you with drier skin, I can definitely see this working for you, as it really will bring back moisture to your skin and make it feel softer and more balanced! I love the scent of it, it is not that heavy in scent but very calming and perfect before heading off to bed. What are your thoughts in night treatments? Would you purchase this one?